Tongue Diagnosis in TCM Acupuncture Theory. 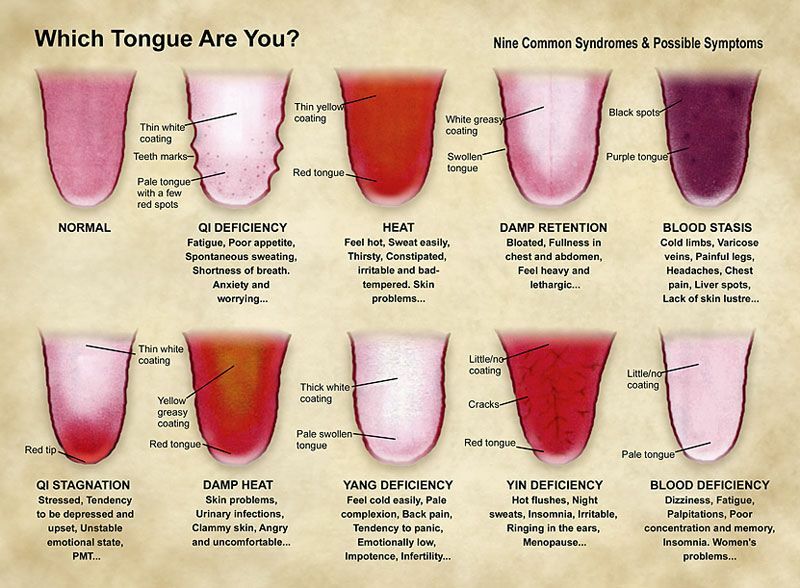 Tongue and pulse diagnosis are two of the more important diagnostic tools in Chinese medicine. They are both used to derive a TCM diagnosis for your condition which is used to plan your treatment. The tongue will show the depth and nature (hot, cold, etc.) of an imbalance and it is less affected by short-term influences. The tongue is also useful as a measurement tool to gauge the progress of a disorder, so each time you arrive I will check your tongue to see how you are getting on. The tongue diagnosis is generally less important if you have a musculoskeletal problem such as tennis elbow. However it will still show important insights as to the status of your digestion and general health. The image below shows a range of common tongues, however in practice there are many, many more combinations – don’t worry if your tongue is not listed here. Also if you are regularly taking medication this can change the whole picture of what your tongue and its’ coating looks like and so the diagram may not be helpful. 1.It is best to avoid drinking very hot beverages one hour before your consultation. 2.It is best to avoid eating foods that may change the colour of your tongue, up to three hours before your consultation eg curry and other spicy food. 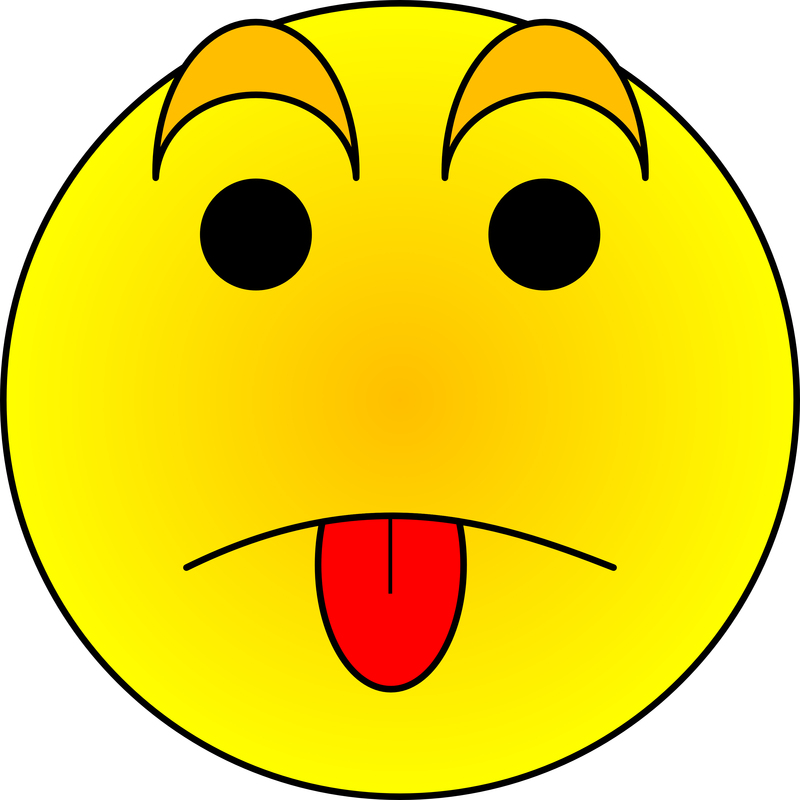 3.In the morning, when brushing your teeth it is best not to clean the coating off the tongue prior to seeing us. If you didn’t avoid the last three points, it is best to let your practitioner know during the consultation.